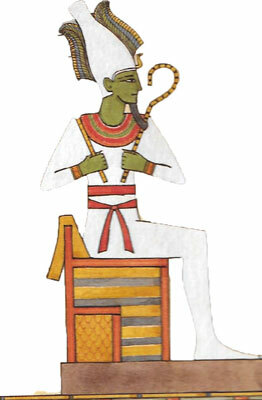 There were many Egyptian gods and goddesses worshipped by ancient Egyptians. Many of them had different symbols. These symbols mostly represented animals such as jackals, falcons, cats, crocodiles etc. The figure of the god or goddess was mostly part human and part animal. Why did Ancient Egyptians believe in gods and goddesses? 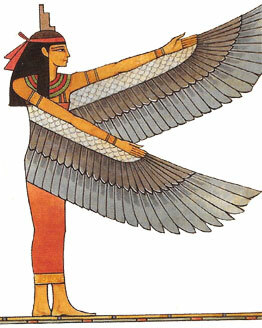 Ancient Egyptians believed in gods and goddesses, because they believed gods and goddesses looked after them by day. What did Ancient Egyptians do to make the gods and goddesses listen to them? 1) They prayed to the gods and goddesses in the hope that they would be rewarded. 2) They wrote their prayers down on stones. 3) They made carvings of ears hoping their god would listen. 1) Re God of the Sun He was seen as the creator of all things and the supreme judge. 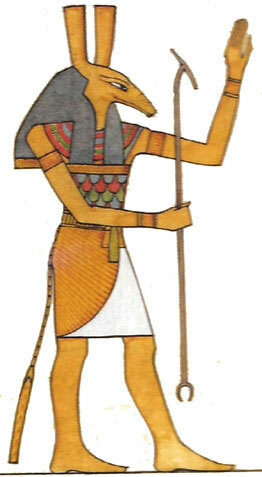 2) Sakhmet Lioness headed goddess She was a war goddess and a supporter of Re. 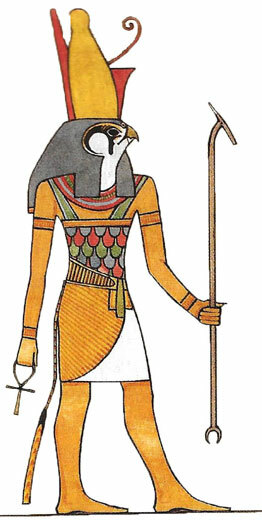 3) Osiris God of the underworld He was also god of the Nile flood and of growing plants. 4) Isis Mother goddess She protected the coffins of people who died and was a mourner (express sadness) at their funerals. 5) Bastet Cat goddess She was the daughter of Re, the Sun god. She was a kind and generous protector. How did Ancient Egyptians give thanks to the gods and goddesses? 1) They held festivals for the gods and goddesses at different times of the year. These were holidays when people could enjoy themselves. 2) They wrote their praise to the god or goddess on stones.